General Information: The avocado is native to Central and South America where it has been cultivated for at least 7,000 years. The word avocado comes from the Aztec word abuacatl which is roughly translated as "testicle". The reference is undoubtedly to the fruit's pear shape. Spanish explorers took the avocado to Europe in 1527. There the Aztec word abuacatl was said to be unpronounceable and became ahuacate or agucate (which means lawyer) and was further modified to the pronounceable "alligator". 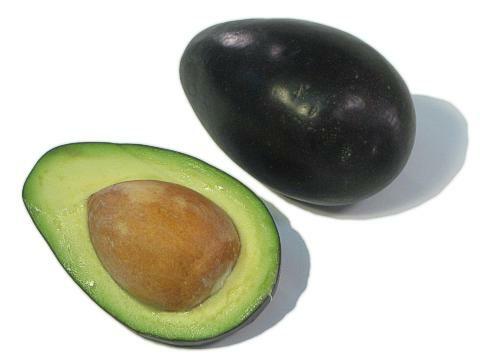 Avocadoes are also called "alligator fruit" and "butter pear", a reference to the consistency of its flesh. The Mexicola avocado has its origin in Pasadena, CA in 1910 of the Mexican type. The tree is tall, spreading and vigorous. The fruit is small, around 5 oz., round pyriform, skin paper-thin, purplish black, waxy bloom. Flesh is of the highest quality, the seed is large.